Good corporate design is the consistent application of the company style to all elements of communication both internal and external. The aim of a comprehensive corporate design system is to ensure that the company's brand and values are communicated to the intended audience. Corporate design is not just for business. Government, Institutions and not-for-profit organisations can all benefit from good corporate design. The correct application of good design principles, consistently applied communicates the 'personality' of the organisation as being true. 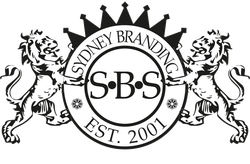 At Sydney Branding Services we pride ourselves on having delivered corporate identity services for clients that include not-for-profit, engineering, medical, pharmaceutical, industrial and other sectors. Many of these corporate identity systems are still in use decades after they were first designed; a testament to effective design. We spend a lot of time listening and learning about what it is that makes your organisation different and we like to involve you in the design process by presenting a variety of creative solutions for your consideration. If you would like your corporate identity designed with skill and applied with care, contact us for a no obligation meeting to discuss your needs.